This entry was posted on April 16, 2012 at 8:13 am and is filed under Ethics-general, History, Sports, Tolerance. You can follow any responses to this entry through the RSS 2.0 feed. You can leave a response, or trackback from your own site. 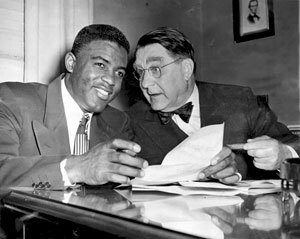 I’m very happy MLB has devoted a day every year to Jackie Robinson…you can’t understate what he did for baseball.